Support for different forms of edemas, including cardial, hepatic, renal and lymphatic. This remedy also helps relieve swollen ankles due to water retention, abdominal bloating and venous stasis. 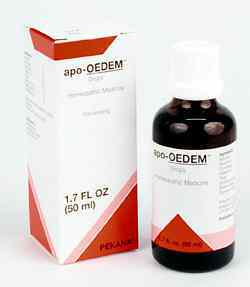 apo-OEDEM drops provide support for treatment of different forms of edemas, including cardial, hepatic, renal, lymphatic and subcutaneous cell tissue. Conditions that can trigger or accompany the development of edemas include inflammation, deposits, disruptions in circulation and circulatory weakness through coronary insufficiency and reduction in kidney function. apo-OEDEM drops also can help relieve swollen ankles due to water retention, abdominal bloating and venous stasis. PLEASE CONSULT A PHYSICIAN WHEN SWELLING IS PRESENT! ¼ to ½ teaspoon taken 2 TO 6 times per day. This remedy is generally for acute use. Discontinue once symptoms are stabilized. Aesculus1X stimulates the kidneys and helps eliminate circulatory problems that can lead to swelling in the hands and feet. INDICATIONS: For different forms of oedema including cardiac, hepatic, kidney, lymphatic and, subcutaneous cell tissue that cause swollen ankles and bloating. ADEL 33 (apo-OEDEM) drops are effective for the benefit of different forms of edemas, including cardial, hepatic, renal, lymphatic and subcutaneous cell tissue. 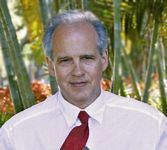 Conditions that can trigger or accompany the development of edemas include inflammation, deposits, disruptions in circulation and circulatory weakness through coronary insufficiency and reduction in kidney function. ADEL 33 (apo-OEDEM) drops also help relieve swollen ankles due to water retention, abdominal bloating and venous stasis. Adults - 15 to 20 drops, Children - 7 to 10 drops, 3 times a day in 1/4 Cup of water.